Here you will find ideas of reading materials from books to support information. Some are free and others are availible from the main UK-Sands website or through online shops like Amazon or Ebay. Every day in the UK, 17 babies are stillborn or die shortly after birth. Behind each one is a family rocked to the foundations by the death of their baby. Many parents who have suffered such a terrible tragedy do go on to have more children - but this brings with it a mixture of emotions: relief, happiness, anxiety...even fear. It is a time of nervous expectation, with some parents saying they 'held their breath' for nine months. 'How I Came To Hold You' tells the powerful real-life stories of seventeen families, each of whom has experienced the heartbreaking death of their child and then taken the step of becoming pregnant again. Their inspirational stories give a unique insight into the hearts and minds of these parents as they recollect the darkest days of their lives, how they came to the decision to try for another baby, and the challenges and emotions they experienced when expecting once again. These stories will hopefully provide other parents embarking on a pregnancy after the death of their baby with advice, support, inspiration and encouragement. Every copy sold raises valuable funds for Sands - the stillbirth and neonatal death charity - which works tirelessly to support bereaved parents, to improve the care that parents and their families receive following the death of their baby, and promote and fund research that could help to reduce the loss of babies' lives. 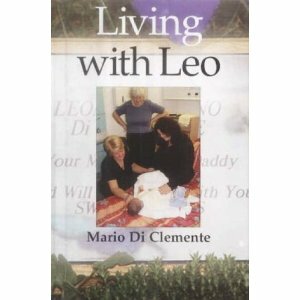 Leo Di Clemente was born on the 27th of January 2003 and died the following day. But what an impact he had, and still does have to this day. He lived a brave, meaningful and special life. He touched people, the vast majority of whom never even got to meet him. Some have said that he changed and inspired them. Others feel that his short life and early death have taught them something. As for his parents, through all the pain and suffering caused by the loss of their first child, they have somehow managed to believe that life is still worth living, that the good memories will outlive the bad and that grief is not forever but love is. Fathers Feel Too has created such a stir it was publicised in The Times and Home and Family magazine even before publication. It is a new book available from the Stillbirth and Neonatal Death Society written by veteran journalist and poet Andrew Don whose baby Lara Jean died during the fifth month in the womb. For generations, men have been expected to keep a stiff upper lip and to hold it together for wives and partners. Now for the first time, men speak openly about the pain of losing a baby and describe how, several years down the line, they have worked through their grief and found new joy in their lives. Essential reading for medical professionals, support service providers, men and all those who love them. The loss of a much wanted baby sibling told through the eyes of a young child. Taken from the series, “Toby’s Triumphs”, a collection of charming takes about a young boy named Toby. Throughout the series, Toby’s journey is full of wondrous discoveries, each new experience offering a lesson in life from the imaginative boy. 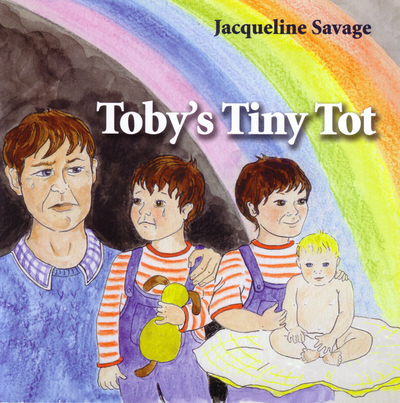 Toby’s Tiny Tot is the sensitive story of Toby’s longing for a sibling. Through his eyes, we follow the painful path of loss and its consuming sadness. Beautifully illustrated a useful resource for families to help children understand about the death of their baby brother or sister. 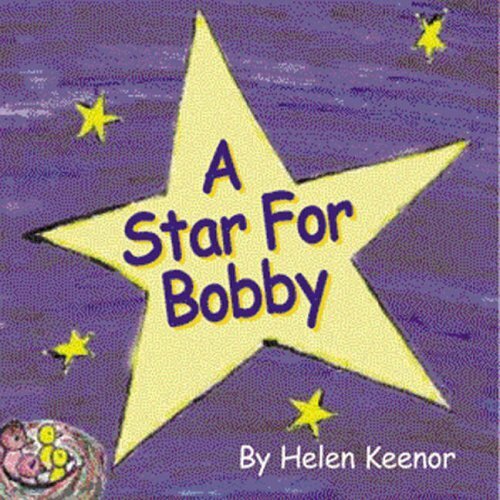 This is a truly beautiful book about the death of a baby sibling; it helps little ones understand, in their own language, what has happened and how their baby sibling can be remembered and cherished I found this very useful after loosing a baby, and it continues to be a favourite bedtime story, even if we are not feeling sad. Just touching and gorgeous. Probably aimed at roughly 3-6 year olds, non religious which I liked very much. Our Bereavement Support Pack includes one each of all of our support booklets including Saying Goodbye to your Baby, Mainly for Fathers, Information and support for grandparents, Deciding about a post mortem, and leaflets including About the Other Children, For Family and Friends, Spotlight on Sands, Footprints and any other current leaflets that we will include. Short A5 leaflet that explains common reactions of bereaved parents and how you can help them in their time of grief.